Samsung has not revealed at the MWC 2017 its main smartphone, but the Internet is still there are new details about the Samsung Galaxy S8. At this time, a source of information has become a well-known columnist Evan Blass, which fell into the hands of high-quality photo Samsung Galaxy S8. This is a genuine and fully consistent with the data on the smartphone, which was known previously. It finally became clear what will be the new flagship of the Korean company. Almost the entire front side of the device is a huge display with rounded corners. 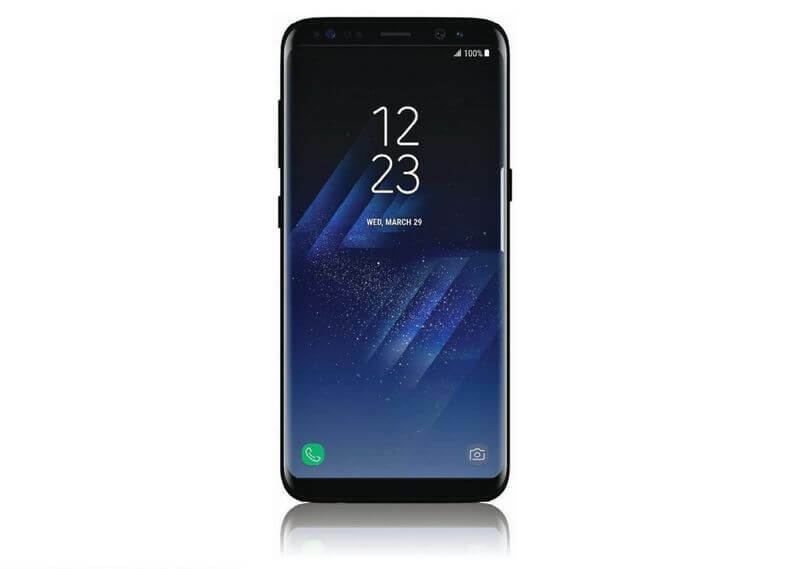 On the side faces of the Samsung Galaxy S8 are located usual volume keys, power button and one more, which is likely to be used to call personal intelligent assistant. The smartphone is no physical navigation keys and the center button with fingerprint. More detailed information about the hardware Samsung Galaxy S8 will have to wait until the official presentation. It is scheduled for March 29 clearly says what the numbers on the submitted photos. We hope that Samsung has made findings and use only fire-resistant materials on your new smartphone.